“Its roots lie in the Reformation of 16th-century Europe, when Protestant Christians read and interpreted the Bible for themselves. Some of them found that the Bible spoke of one God. This did not square with the orthodox doctrine of the Trinity, which says that God consists of three ‘persons’. Because these people believed God to be a ‘unity’ rather than a ‘trinity’ they became known as ‘Unitarians'." And there you have it. 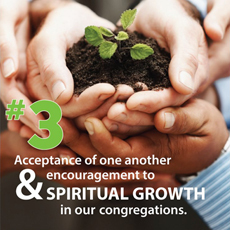 God is one, not three, as the Trinitarians say. 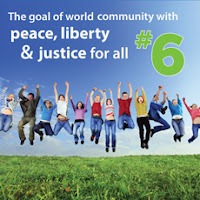 That’s what makes us Unitarian. The first Unitarian churches formed in what is now central Romania, and was then Transylvania, around which curved the Carpathian mountains. 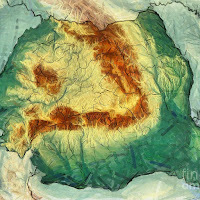 Transylvania’s King John Sigismund, who reigned for about 10 years until his death in 1571 is history’s only Unitarian king. 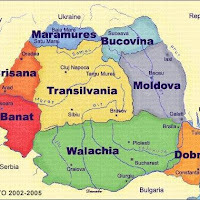 There are a number of Unitarian churches today in central Romania that have been Unitarian churches for 450 years. Over the doors of many of those original Unitarian churches in Transylvania are painted those words in Hungarian: Egy Az Isten, meaning God is one. I tell you all that because I want to be clear with you about the situation I have put myself in. 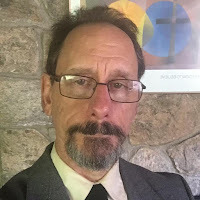 If a Unitarian minister of a fine Sunday morning steps into his pulpit to deliver a sermon titled “God is not one,” well, he’s got some ‘splaining to do. So let me explain. 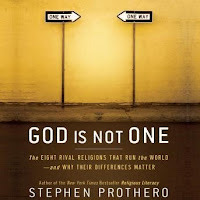 I am referencing a book by religion scholar Stephen Prothero titled God is Not One. Prothero’s aim is not to defend trinitarianism against the perfidies of Unitarian heresy. Rather, he wants to say religions are really different. It has been a temptation of various European thinkers since the 18th-century to assert that religions are all the same. "All religions are one," argued William Blake in 1788. In the 60s it became fashionable to hold that all religions are beautiful, and all are true. It’s true that the Golden Rule is found in Christianity, Judaism, Confucianism, and Hinduism. But some shared ethical precepts don't mean they are all "essentially" the same. There are the obvious differences. Christians don’t go on pilgrimage to Mecca. Muslims don’t baptize. Hinduism tells of many Gods, Judaism of one God, and Buddhism makes a case for no gods. Unitarians, the old joke goes, believe in, at most one God. Mormons say God has a body. Muslims say God doesn’t. Hindus say humans have souls. Buddhists say we don’t. "The world's religious rivals do converge when it comes to ethics, but they diverge sharply on doctrine, ritual, mythology, experience, and law. These differences may not matter to mystics, but they matter to ordinary religious people. Muslims do not think that the pilgrimage to Mecca they call the hajj is inessential. Catholics do not think that baptism is inessential." The impulse to say that the essence of religions is in what they share is well-intentioned. There has been such conflict and fighting – often violent – over religions. If the combatants would only see that their faiths are basically the same – just different paths up toward the same peak – then they wouldn’t hate each other. When there’s polarization – each side demonizing all other sides – then a strategy of minimization – that is, seeking to minimize differences – is indeed an important and positive step. Something’s wrong. What is it? For Christianity, what’s wrong is sin. So Christianity heads out to climb the mountain to salvation, salvation from sin. For Buddhism, what’s wrong is suffering. So Buddhism heads out to climb the mountain to nirvana, extinguishment, release from the cycle of rebirth into suffering. For Islam, what’s wrong is arrogance -- “the hubris of acting as if you can get along without God.” So Islam heads out to climb the mountain to humility and obedience. For Judaism, the problem is exile (“distance from God”). 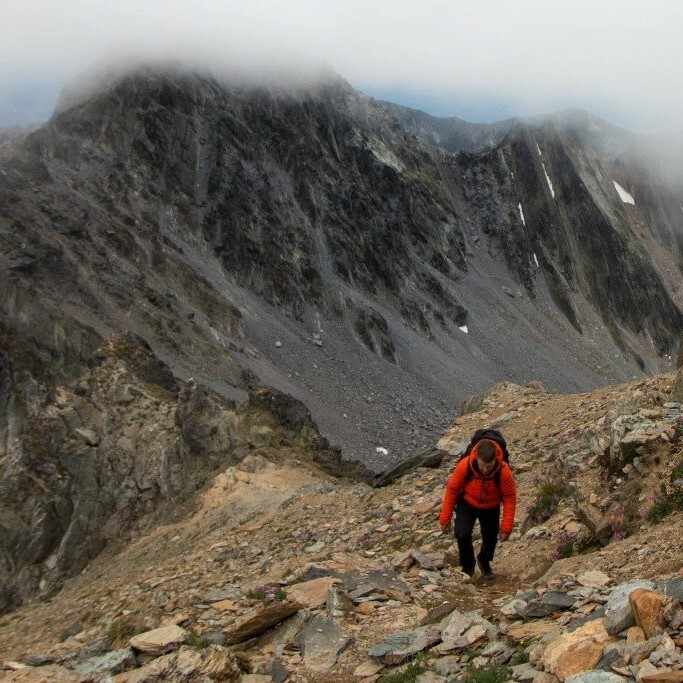 So Judaism heads out to climb the mountain of following the law to return to God. These are not different paths up the same mountain. They are headed up different mountains. 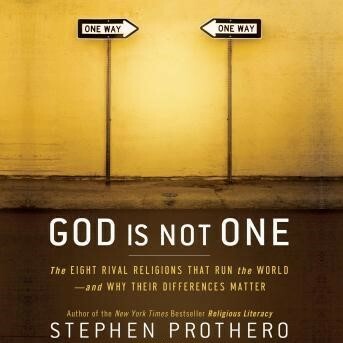 Prothero doesn’t discuss Unitarian Universalism. I think we could say that for us, what’s wrong is disconnection – human isolation and alienation from one another. 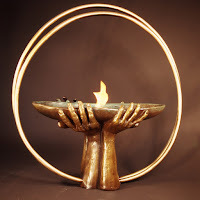 So we Unitarian Universalists conceive of the religious project as one of connecting, of understanding and remembering our, and everyone’s, inherent belonging. 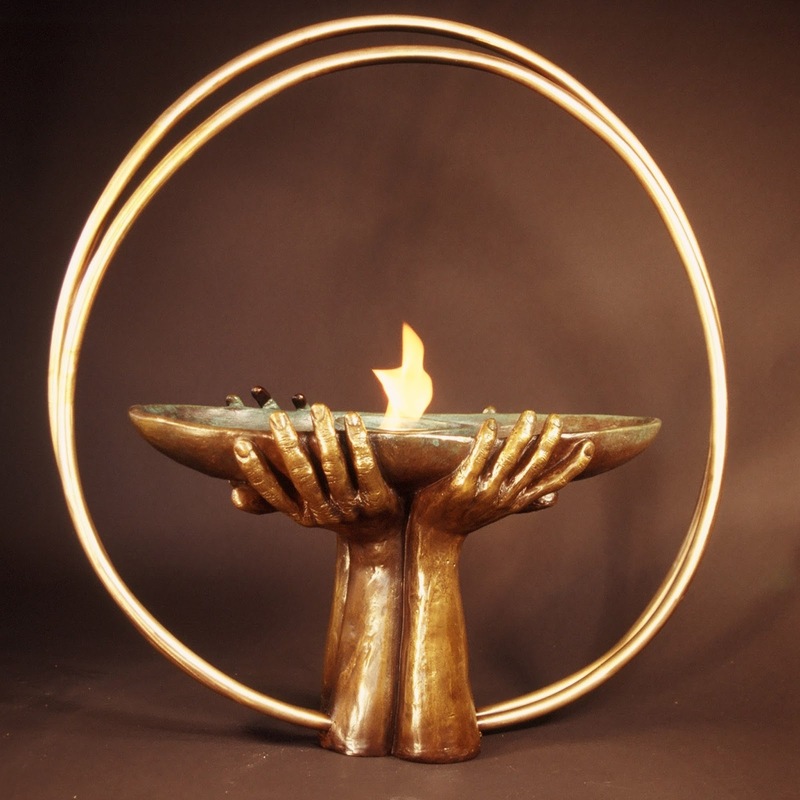 The “unity” in Unitarian began as a reference to the unity or oneness of God, but even very early on, our emphasis has been on this life and this world. The unity that better captures what we're all about is the unity – the connection and belongingness – of all beings of the Earth. 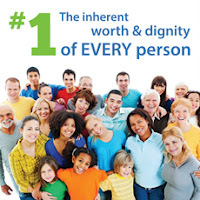 When we affirm the inherent worth and dignity of every being, we’re saying no one is of such nature as to warrant exclusion from the family of things. When we affirm respect for the interdependent web of all existence, we’re saying that we are all placed in a network of mutuality. What’s wrong with the world is that we ourselves sometimes feel disconnected and sometimes treat others as if they didn’t belong. The challenge for us is to understand that we all belong -- not because of a shared basic sameness, but, in fact, because of our profound difference. Minimization – that is, the orientation toward minimizing differences among cultures and religions – is a helpful path out of polarization. But minimization introduces distortions of its own. 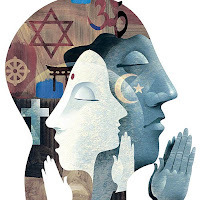 We haven’t truly accepted Muslims, Hindus, Jews, Christians, and Buddhists AS Muslims, Hindus, Jews, Christians, and Buddhists if we keep smoothing over their differences, keep seeing them only through the lens of what they all share. Interestingly, what helps a person move beyond minimization to acceptance of real difference is attention to their own uniqueness. Only, this time around, we aren’t saying we’re different because we’re better, we’re just saying we’re different because we’re us. I’m a Unitarian Universalist because that’s who I am. It’s not because there’s something wrong with being some other religion, or no religion. Nor is it because it doesn’t make any difference. It makes a huge difference – it’s a very different way of life, way of community, way of fellowship, and way of being from the exclusively Christian way, exclusively Muslim way, or exclusively Buddhist way. You notice that word “exclusively.” One of the things that makes Unitarian Universalism different is that we’re explicit about honoring that UUs can be Christian UUs, Jewish UUs, Buddhist UUs, Hindu UUs, Muslim UUs, humanist UUs, or pagan UUs. So I can’t talk about how being UU is different from being Christian because some of us are both at the same time. But I can talk about how being UU is different from being exclusively Christian. To be exclusively Christian, typically and usually, though not always, entails more emphasis on sin. The typical devoted Christian sees the world through the lens of an inner corruption in the human soul. The morning newspaper’s stories of scandal, crime, violence, conflict, sexual misconduct, and drug abuse rates is all seen as reflective of basic human sinfulness. Unitarian Universalists read the same news but through a different lens. For us, it’s reflective of basic human disconnection. We see a drive for meaning and belonging that, when not met, can turn desperate, can lead to strategies of dominance – to abuse of others to prove to ourselves that we matter, or to abuse of ourselves with drugs to ease the pain of loneliness. 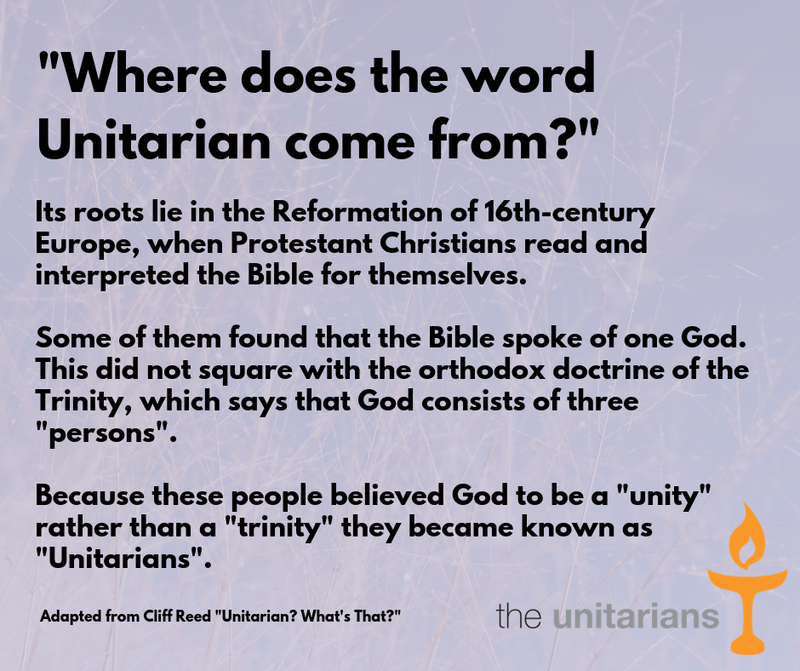 We got our name, Unitarian, because we rejected the Trinitarian conception of God. We got our other name, Universalist, because we believed in Universal salvation – that there is no hell and we are all bound for heaven. But the specific content of our early doctrines is less important than the motivation and methods that led our forebears to embrace those doctrines. 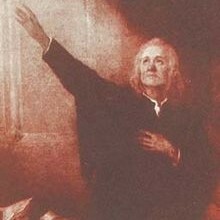 Our forebears got to Unitarianism through reason. They read the Bible carefully and thoughtfully. They studied church history, and noticed that the Trinitarian doctrines arose among theologians centuries after Jesus, and in response to particular needs of the time. 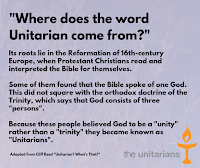 Trinitarianism is not in the Bible and runs contrary to reason, we said – so they called us "Unitarian." But the more vital characterization of what we’re about is that we trusted the authority of reason over the authority of tradition. We trusted in the capacity of individual minds to see for themselves. We Unitarian Universalists have seven principles, and they form an arch. The first principle and the seventh principle are the two pillars holding up the arch. The first principle affirms the inherent worth and dignity of every person or every being. 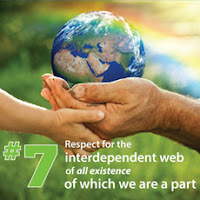 The seventh principle affirms respect for the interdependent web of all existence of which we are a part. Those are the pillars of our faith. But the middle principle, the fourth principle – that’s the keystone of the arch. If you know about arch construction, you know that what makes the arch strong is the way all the stones press in on that central keystone at the top of the arch. 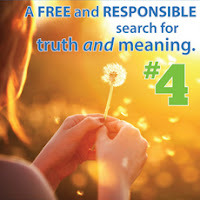 For us, that crucial keystone, the middle principle, is the free and responsible search for truth and meaning. 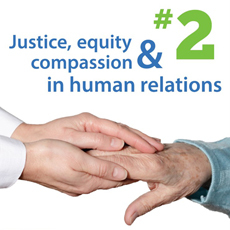 On one side of the arch are the second and third principles: justice, equity, and compassion in our relations, and acceptance of one another and encouragement to spiritual growth. These speak to our individual, face-to-face relationships of connection. 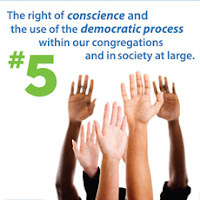 On the other side are the fifth and sixth principles: the use of democratic process that respects rights of conscience, and the goal of world community with peace, liberty and justice for all. These speak to the political and social systems for connection and belonging. And they all lean in against that keystone: a free and responsible search for truth and meaning. On the downside, we Unitarian Universalists tend to struggle with humility. A faith that puts such trust in reason runs the risk of arrogance. We think we can figure it all out ourselves and sometimes fail to appreciate the hard-won prudence of the ages. Sometimes tradition has more going for it than our reason can grasp. The upside that makes this risk worth it is our conviction that our commitment to peace and justice matters – that our hopes for a fuller realization of belonging for all are not defeated before they begin by inherent sinfulness. On our Universalist side, again, the particular doctrine – in this case, a doctrine about the afterlife -- is less important than why our forebears felt moved to adopt that doctrine. The early Universalists said that a loving God would not condemn creatures of his own making to eternal torture. In other words: they felt the universe as a loving presence – a presence that loves all of us, a presence in which all of us are accepted and belong. Through the centuries those doctrines have faded into insignificance. Today we Unitarian Universalists have little concern with "the errors of the Trinity," or with arguing that we all go to heaven. But what originally motivated those doctrines – the trust in our consciences and reason in a world in which all of us are accepted and inherently belong – that is with us still. This is who we are. Whether we are also Buddhists or Pagans or Jews or Christians – this makes us UUs different from those who are exclusively Buddhist, Pagan, Jewish, or Christian. This is our path, and belongingness is both its means and its destination. We can respect other traditions, we can learn from them, we can even incorporate some of their teachings and practices. In a UU context they become something different. What those teachings and practices mean and how they function in a UU context is different from the meaning and function they have in their original context. Clarity about who we are and integrity to our tradition is the ground from which true respect of other traditions can grow – with acceptance rather than minimization of our real differences. May it be so.